Jorginho has struggled this year, not making the impact that Chelsea fans expected. Let’s take a more in-depth look discussing his contributions and his criticisms. Where do you stand on the Italian? In the aftermath of the crushing defeat to Manchester City, everyone has had their say on the current state of affairs at Stamford Bridge. However, this article will focus on a different aspect – one player who, in my opinion, has quite simply underperformed. Jorginho was handpicked by Maurizio Sarri to be the midfield metronome of his system. We have seen him overrun and ineffectual at times this season, but it could have all been so different for the Italian. 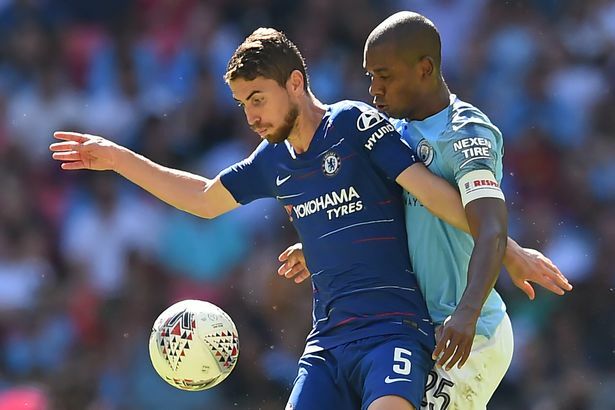 In the summer, it seemed likely that Jorginho would join Manchester City, who, fresh off winning the title, were looking to strengthen. Deemed to be Fernandinho’s backup and potential successor, he looked like a perfect fit for Pep Guardiola’s system. Instead though, he chose to reunite with former boss Sarri, which, with the benefit of hindsight it may have been a poor decision. After the plaudits he gained playing in Europe so successfully, he has been called out by pundits aplenty this year for several different reasons. He’s been cited as the man who has pushed N’Golo Kante out of his natural position, further disjointing this struggling Chelsea team. Despite him being in the side to create, he has registered no assists and has been criticised for over passing. Dealing with the Premier League has also proved difficult for him. 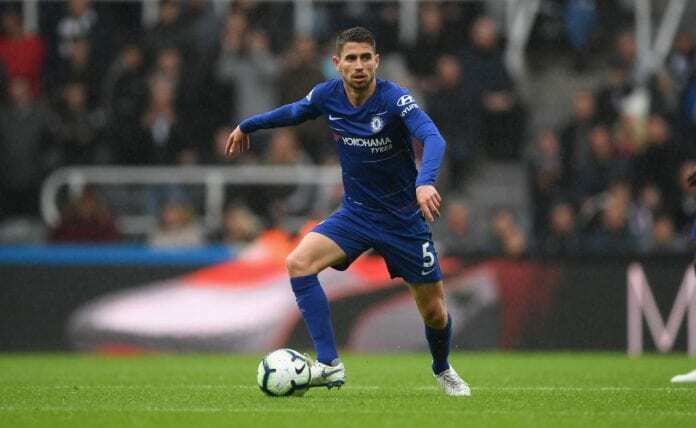 Physically, he was bullied off the ball by Heung-Min Son at Wembley as the Tottenham forward carried the ball for 30 yards – Jorginho failed to keep up with him. As teams have found out, the key to stopping Chelsea play is to stop Jorginho. Do that and the whole system breaks down. Jorginho’s game, at present, is failing to translate fully into English football. However, watching him game in, game out you can see why he was brought in to play this system. People are quick to forget that early on in the season, Chelsea were the only unbeaten team in Europe until November. Jorginho played a big part in that. The Brazilian born Italian does have the potential to create. Chelsea’s attacking midfielders stretched deep-lying defensive lines early on as teams tried to work out Sarri’s system. In the games where we struggled to break through ie. the 0-0 draw at West Ham, he was the main creative source playing a number of through balls that the likes of Willian and Olivier Giroud could not take advantage of. The stats show Jorginho winning possession in the midfield third the second most times in the Premier League so far this season. Only Wilfried Ndidi, N’Golo Kante and West Ham United’s Declan Rice come close to matching his tally. Despite the lack of assists, he hasn’t been helped by our wing backs not suiting this system. With Marcos Alonso and Cesar Azpilicueta failing to make runs in attack, as well as forwards not making enough runs in behind, Jorginho has lacked an outlet. Chelsea’s lack of goals this season has been a result of wasteful strikers rather chances not being created. Things could have been so different for Jorginho had he chosen to join Manchester City instead of Chelsea. Of course, any player who joins City is becoming a part of arguably the best team in the world right now. Therefore, most players would find it easy to slot in their team with Guardiola’s system and play well. It is paramount to mention; Guardiola’s side are years ahead of Chelsea having cleared out most of their squad between Pep’s first two seasons. Therefore, their team and squad are fleshed out with talent and depth. Had Jorginho joined them, he may have struggled to get ample game time and that may have been a significant factor in his turning them down. Maybe we have to give him some credit for coming in to be the main man for Chelsea and not taking the easy option. However, had he joined, he would have had the riches of attacking talent at City’s disposal with which to link up with. His direct play over the top of defences and fullbacks would have suited City’s wide style perfectly. City’s attacking fullbacks, Benjamin Mendy and Kyle Walker, complemented by the depth of wingers (Sane, Sterling, Mahrez and Silva) at the club, Jorginho’s tidy passing and vision would have enabled him to slot straight in. With quality players around him, he would look like much more of a threat than we are seeing at Chelsea right now. Had he decided to go to the Etihad we would probably be sitting here praising him for his creativity and how City had found Fernandinho’s long term successor. However, at Chelsea, he has been made a scapegoat because he is so integral to Sarri’s system. I believe he has deserved the criticism he has been getting, but I do believe he has a lot of ability. If he was backed with more adventurous fullbacks prepared to get forward, as well as attacking players who look to run in behind more, he would have a lot more success with his forward play. Whilst he is Sarri’s player, I think he could be better managed defensively by bringing in Kante to play closer to him. Returning Kante to a more withdrawn role could help solidify Chelsea’s defence as well as giving Jorginho more protection. I believe he has to raise the tempo of his passing to be more effective. 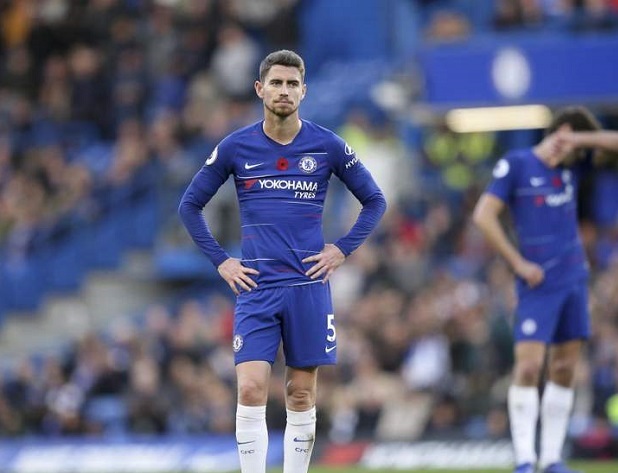 Going forward long term, unless this Chelsea team and manager are backed with the personnel required to make them tick, Jorginho will continue to struggle. We can only see how he and the team reacts for the rest of the season before making a full judgement, However, it’s fair to say he has struggled in his first season in England. Hopefully, the best is yet to come though. Next postThe Attacking Two Podcast: Chelsea’s biggest loss in over 30 years – where do we go from here? This is a really insightful, balanced read (a rarity these days!). Agree with most points there on our current no.5. This season is surely a sign that it won’t anymore. There needs to massive changes in squad personnel and moreso transfer policy over the next two years or so. Personally I like Sarri and would stick with him, however if he absolutely refuses to change ANYTHING over the next few matches then you have to say “yep, he’s an arrogant mad fool”. Earn yer dolla Maurizio.